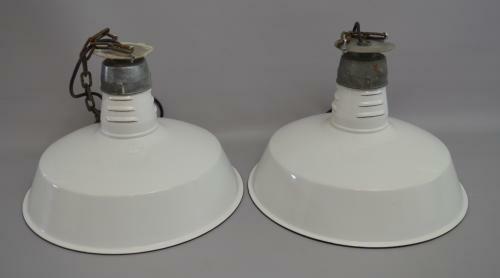 Very nice large white enamel industrial factory lights with a blue rim. In good condition, Came from a factory in France. Rewired with 1 metre of 3 core cable and suspension chain. Ready to hang, 2 available.